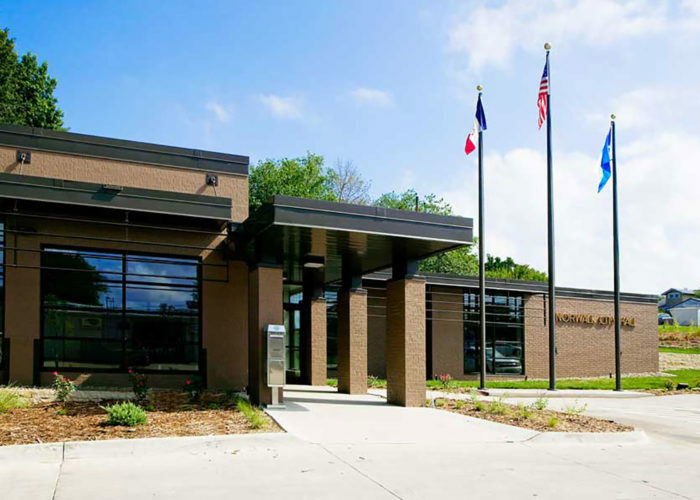 When the Public Works Department moved out of the City Hall Building, this allowed for expansion of administrative functions in City Hall. 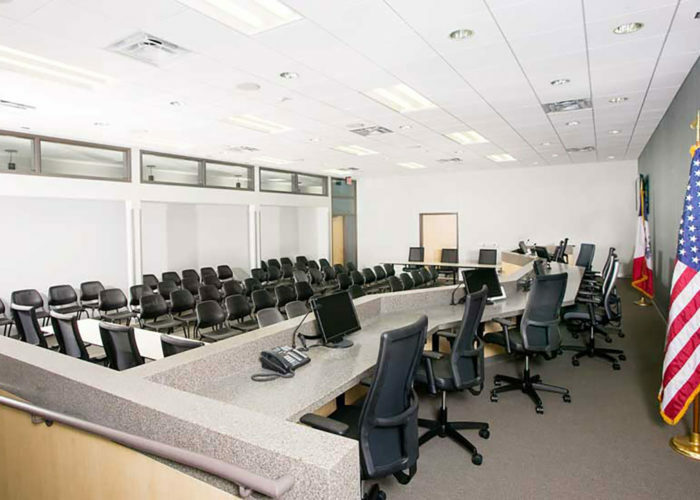 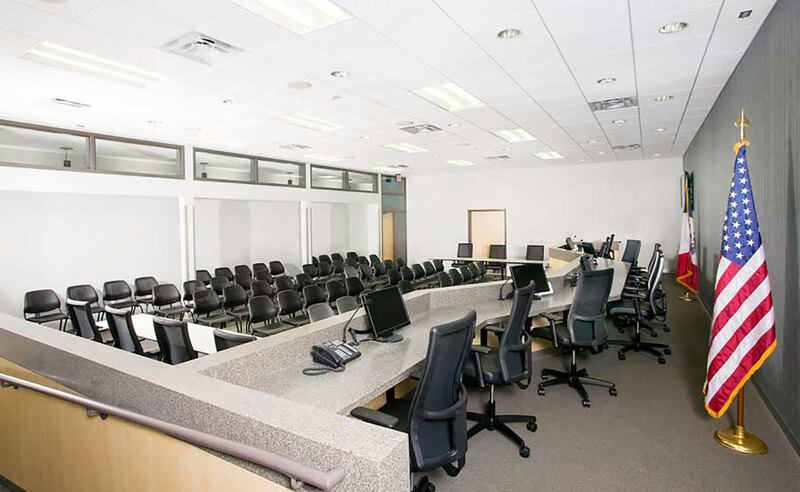 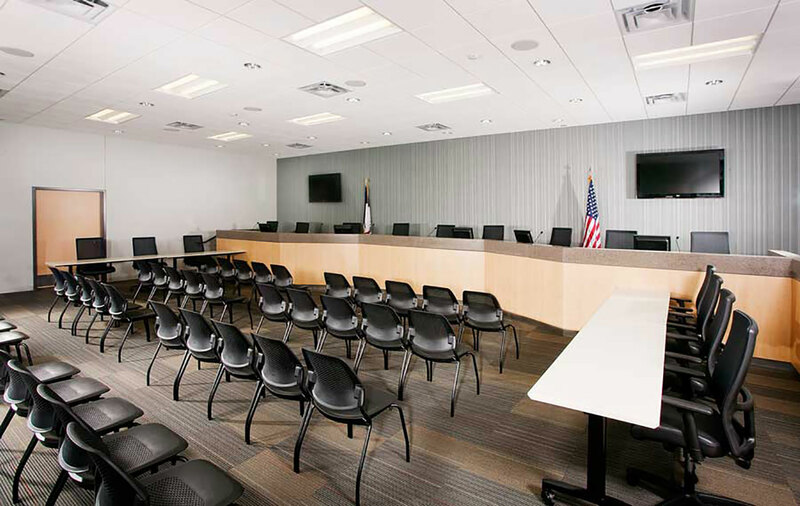 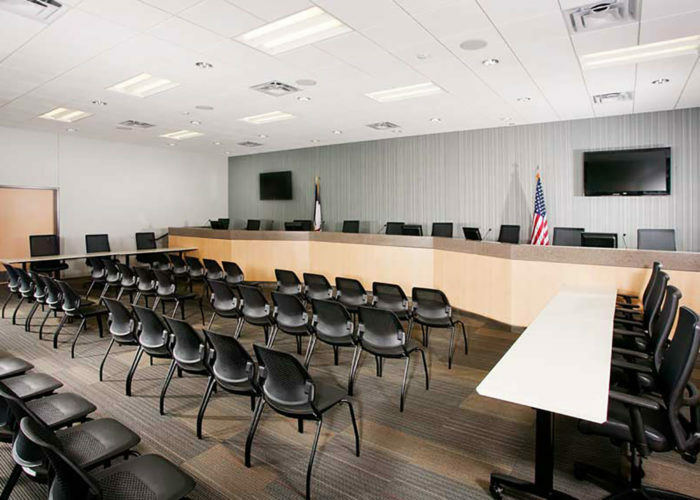 Existing apparatus bays were converted to administrative offices and City Council Chambers. 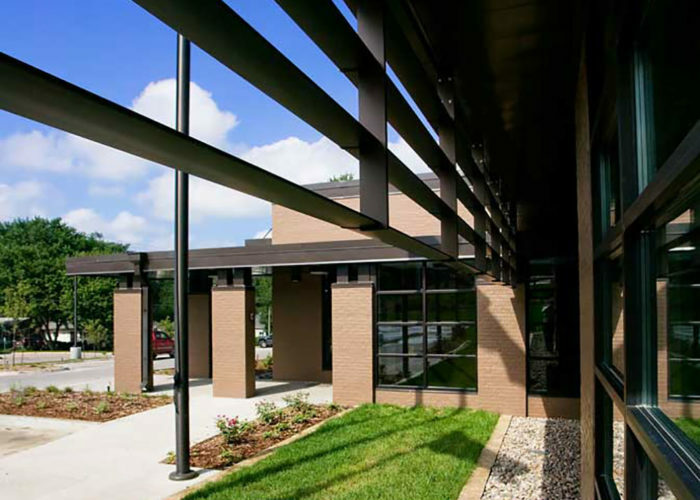 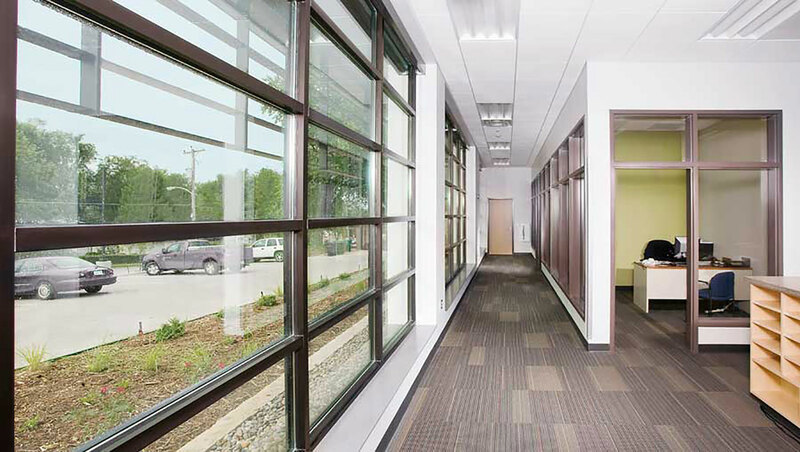 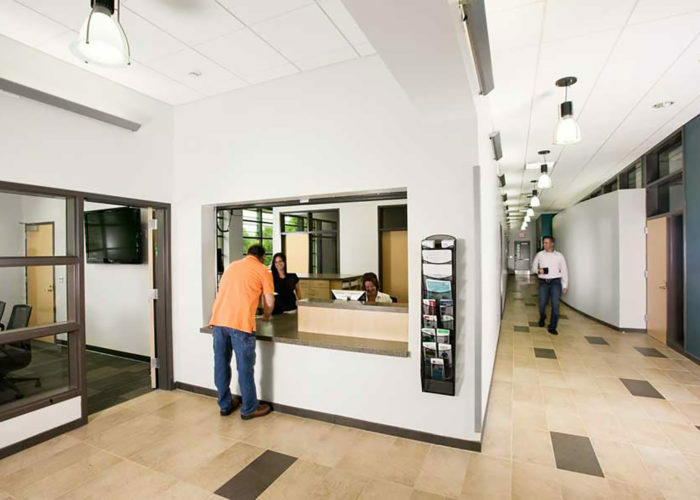 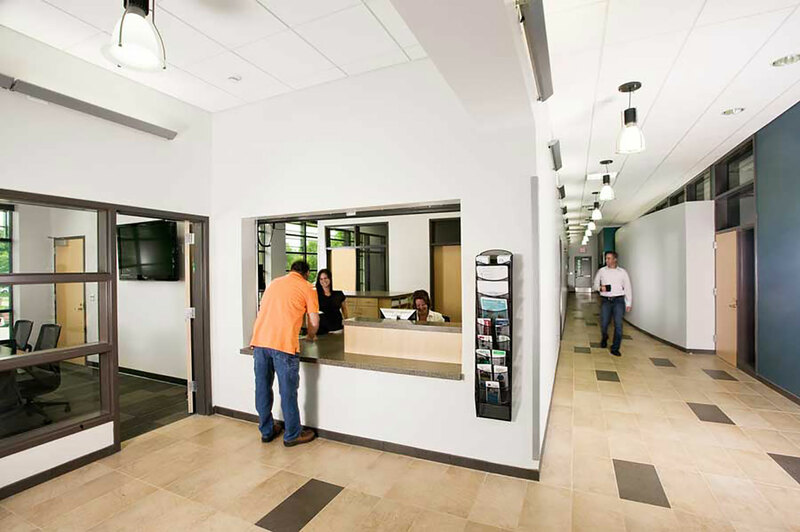 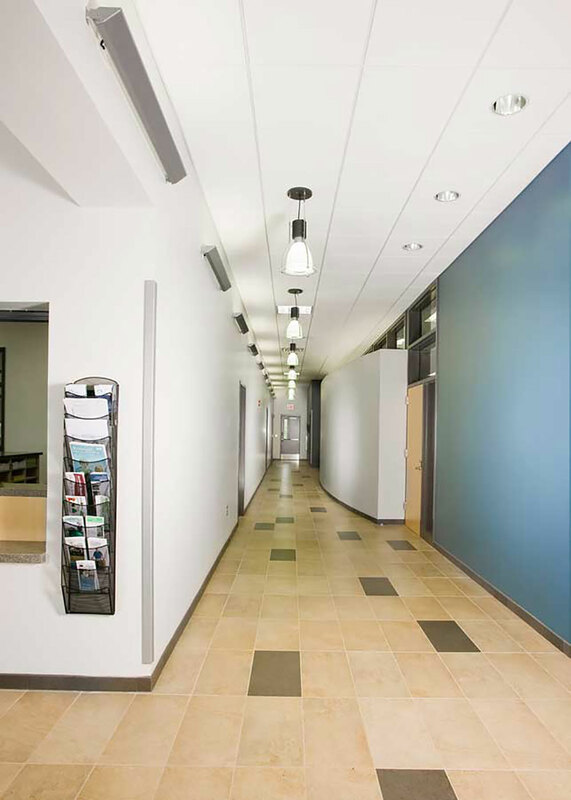 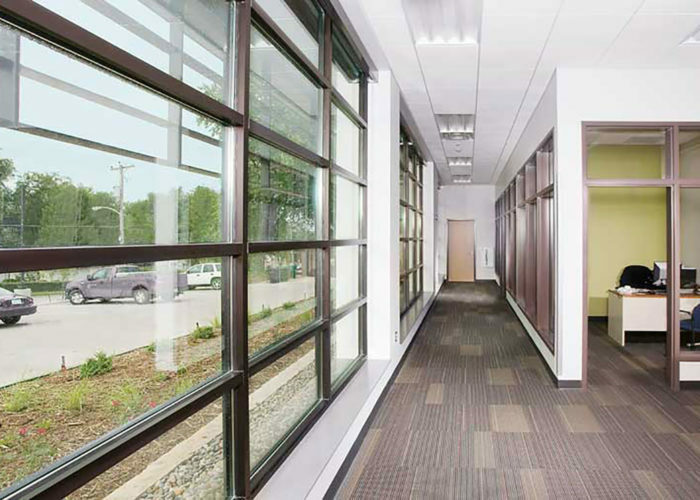 An expanded vestibule and canopy design presents a welcoming entrance into the remodeled facility. 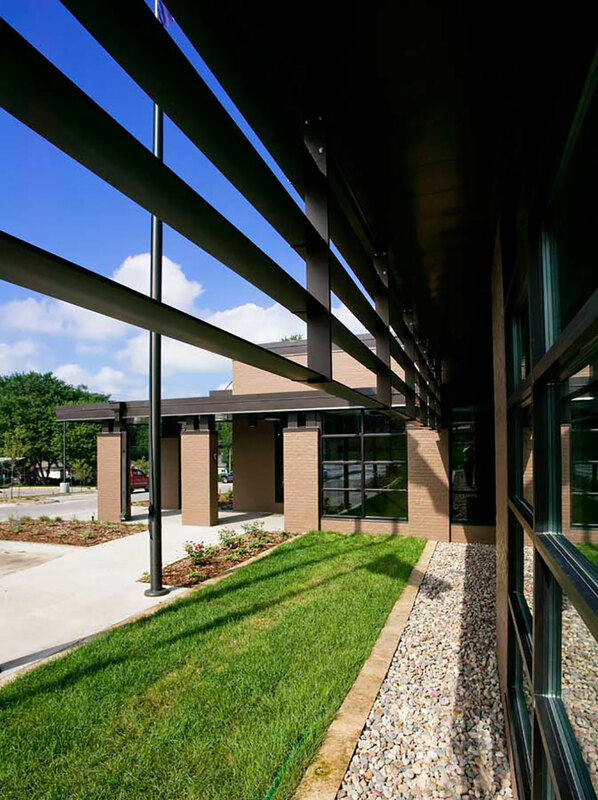 New overhangs and sunscreens add visual interest while demonstrating sustainable design strategies for minimizing solar heat gain to the public, allowing for great views and daylighting. 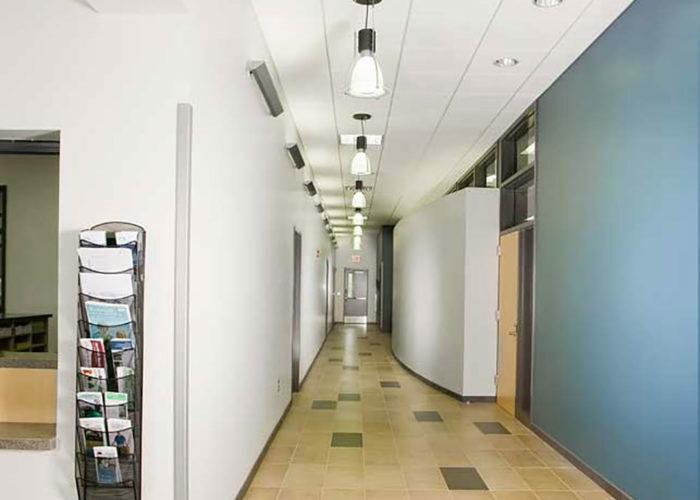 New electrical and mechanical systems were provided including a geothermal HVAC system utilizing a horizontal bore field, which extends beneath the building. 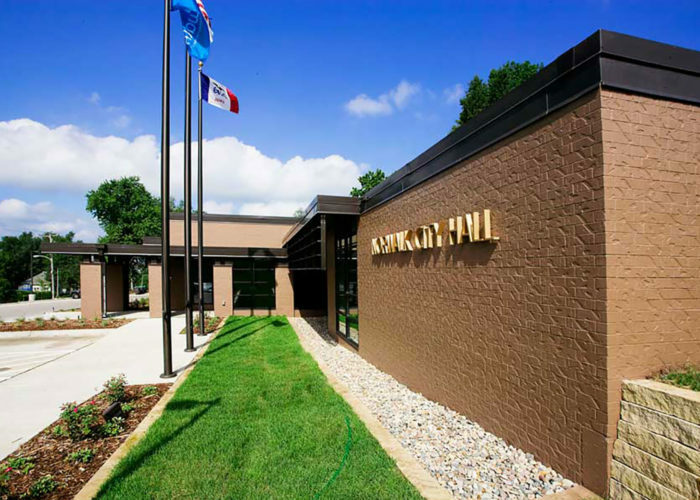 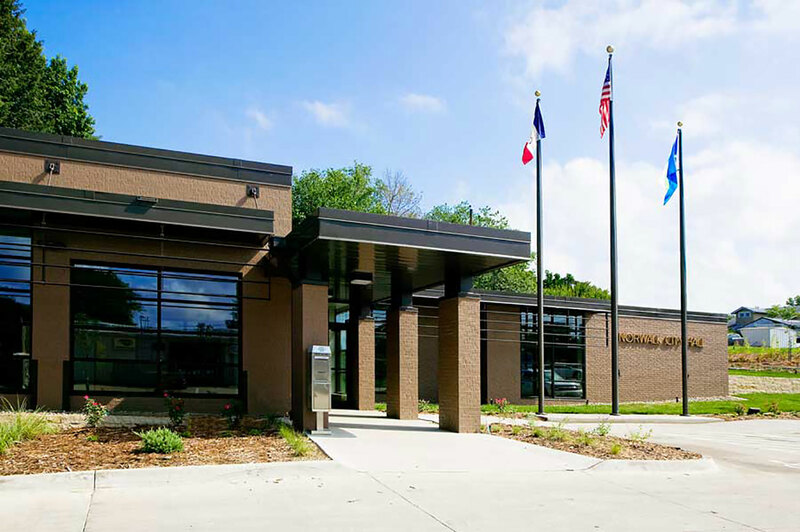 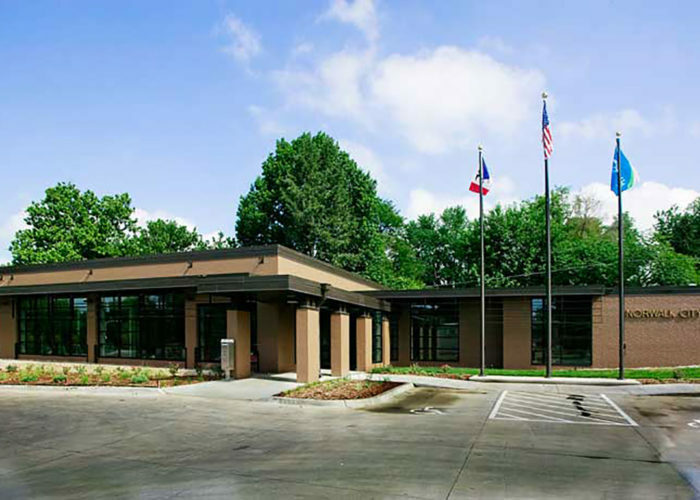 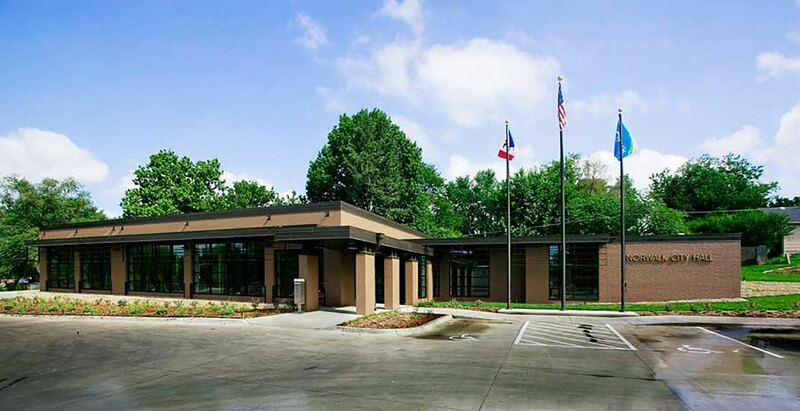 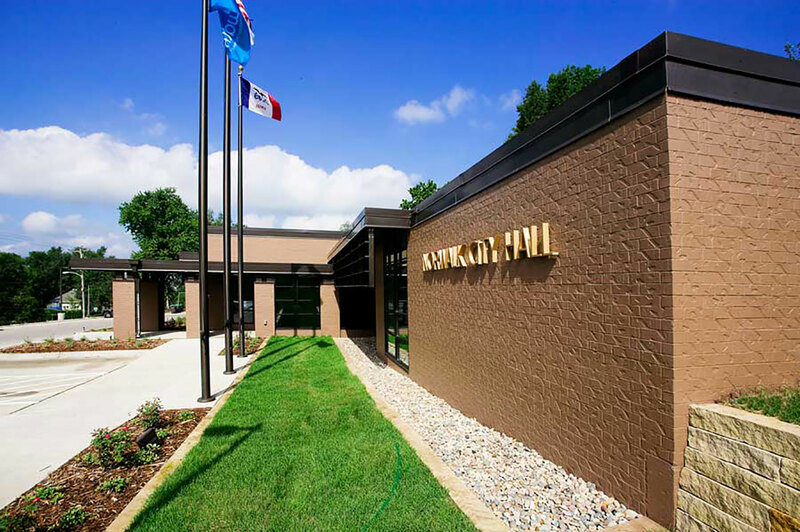 The site was completely reconfigured to provide a significant amount of green space and landscaping, establishing a more appealing civic presence of City Hall for this thriving Iowa community.